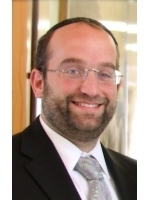 Rabbi Shlomo Einhorn is a musmach of the R.I.E.T.S Theological School at Yeshiva University. After earning his Bachelors degree in World History, Rabbi Einhorn went on to earn a Masters in Education from the Azrieli School of Education. Rabbi Einhorn served as Rabbinic Intern at the Lincoln Square Synagogue. Following that position, Rabbi Einhorn became the Head Rabbi of Kehilat Chovevei Tzion – a vibrant young synagogue in Scarsdale, New York. Rabbi Einhorn was a popular Talmud teacher at the Marsha Stern Talmudic Academy (MTA) for five years.Prior to teaching at MTA, Rabbi Einhorn served as Director of Education for New Jersey NCSY Junior Division. Among Rabbi Einhorn’s passions is music as he released a wonderful Jewish New Age record, on which he wrote, sang, and played guitar – called KLI, in 2000. In addition, he has also written a book on the Interface of the Mind and Soul in Halacha. Rabbi Einhorn achieved critical acclaim with his dynamic Simcha Seminar. The seminar is a multimedia experience that deftly weaves humor, spirituality, and self-help ideals in a 3 part series. 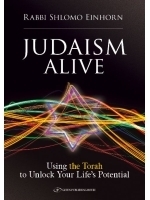 Rabbi Einhorn has delivered this seminar in many cities across the country. For 7 years, Rabbi Einhorn served as the Rabbi of the West Side Institutional Synagogue in Manhattan. He has helped his synagogue witness a 70 growth over the last 4 years. He is also the Creator and Director of WINGS – a Synagogue Consulting group for the Orthodox Union. While in Manhattan, Rabbi Einhorn has also served as the President of COJO (Coalition of Jewish Organizations). Currently, Rabbi Einhorn is the Dean and Rav of Yeshivat Yavneh in Los Angeles, California. His source of most pride is his lovely wife Shira and their five beautiful children Yisrael, Estee, Ariella, Eliyahu and Sarah.